The Relations between Malaysia and Palestine are strong brotherly relations. Malaysia has strongly stood up for the rights and freedoms of the Palestinians and has supported the struggles of the Palestinians. 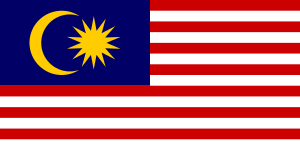 Malaysia also has refused to recognise the State of Israel until a peace agreement is reached. Anti-Semitism is very common in Malaysia. It was ranked the top Asian country where the most people hate Israel. Approximately, there are around 3,000–5,000 Palestinian students in Malaysia, many Palestinians also choose Malaysia as a country for temporary refuge. 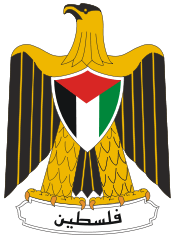 ↑ "Official Website of State of Palestine in Malaysia". Embassy of the State of Palestine. Retrieved 20 November 2012. 1 2 Joseph Kaos Jr (7 August 2012). "Palestinian group seeks more aid from Malaysia". AsiaOne. Retrieved 20 November 2012. ↑ "Malaysia Furthers Efforts to Support Palestine". theCHOICE.my. 19 June 2012. Retrieved 20 November 2012. ↑ "Palestinians escape Israel brutality, seek new home in Malaysia". bikyamasr.com. 28 July 2012. Retrieved 20 November 2012. ↑ "Palestinians pick Malaysia to look for refuge". New Straits Times. 28 July 2012. Retrieved 20 November 2012.